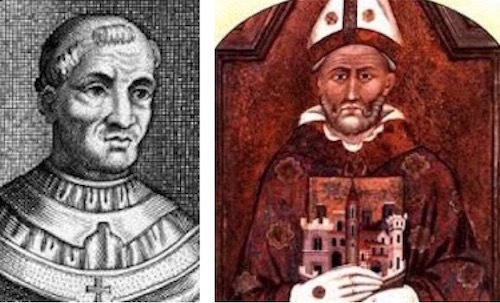 Pope John XV declared the first official Roman Catholic saint with a capital “S” on January 3, 993. He canonized Bishop Ulrich of Augsburg. The Biblical use of the word “saint” and the Roman Catholic use of the word “saint” are not congruous. However, there were, are and will be men and women dedicated to the Lord who live saintly lives or who serve as examples of sanctity and holiness or who were/are/will be killed because they are Christians. There are about 12,000 men and women who have over the last 1,000 years been declared Catholic Saints. One of these examples for us of holiness and dedication to the Lord was a little 12 to 13-year-old girl named Agnes who lived in Rome. She was a widely revered martyr in the early Church. 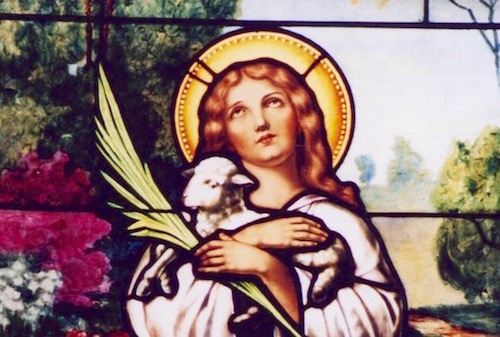 After her martyrdom, probably under the persecution of Diocletian (c. 304), Agnes became a heroine and an intercessor to God for some believers. Agnes was tortured, set on fire and finally beheaded under the last great persecution under Emperor Diocletian in 303-311. She was martyred in Rome in the Circus of Hadrian, now the Piazza Novana. St. Ambrose (c. 340-397) was the first to write of her in De virginibus 1.2.5-9. He says only that she was a young virgin who was beheaded. Prudentius in c. 405 further embellished Agnes’ story in a hymn extolling her. Peristephanon 14. He states that she was taken to a brothel to be violated. A young man who lusted her was struck blind. The Early Church rightly venerated young Agnes for her valor, her virginity and her boldness. 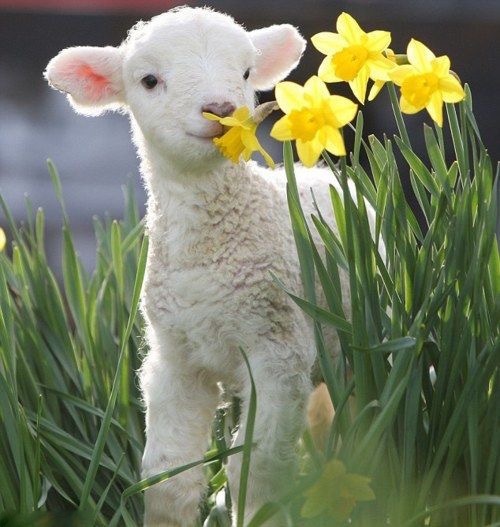 Agnus is the Latin word meaning “lamb, sheep.” Her sacrifice as a young “lamb” and the holiness of the Lamb of God for whom she died resonated. 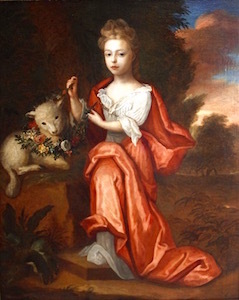 She is frequently pictured and sculpted with a little lamb in her arms or by her feet. Constantina’s Mausoleum next to Catacomb of Agnes. Built by her father Constantine the Great. Agnes was the first person to be buried in the Catacomb that bears her name on the Via Nomentana. Perhaps it was on her parent’s property. 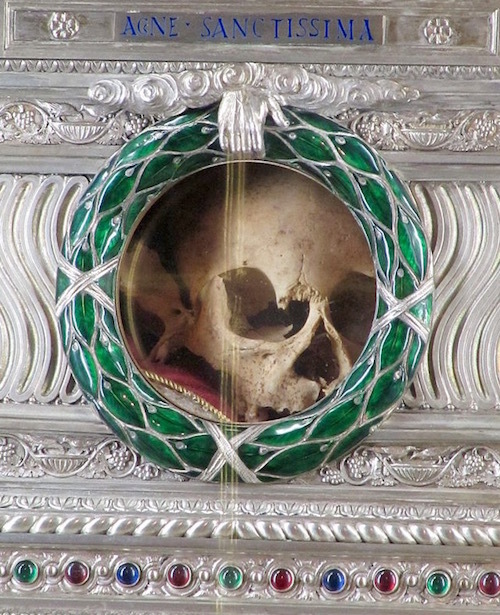 There are only about 7,000 people buried in her humble, cramped and neglected Catacomb. 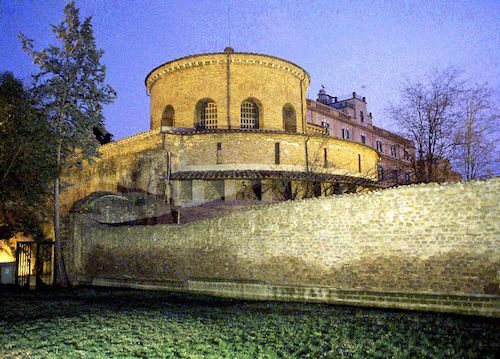 Outside her Catacomb is an imposing dome-shaped mausoleum built by the Emperor Constantine for his daughter Constantina. She was devoted to Agnes, wanted to be and was buried there in c. 360. During the excavations at the 16th century Baroque Church of St. Agnes in the Piazza Navona in 1901, a silver sarcophagus was found. It contained the headless bones of a young girl. 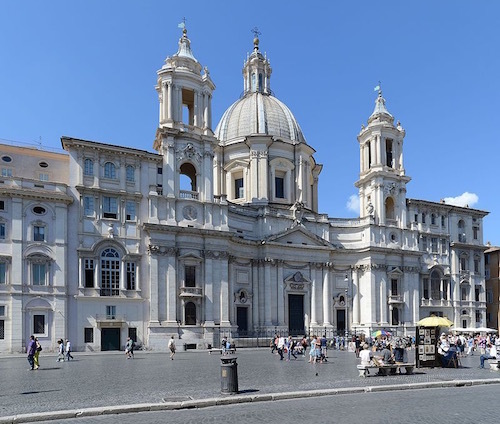 The Church dedicated to her had been built in the Piazza Navona where Agnes died.